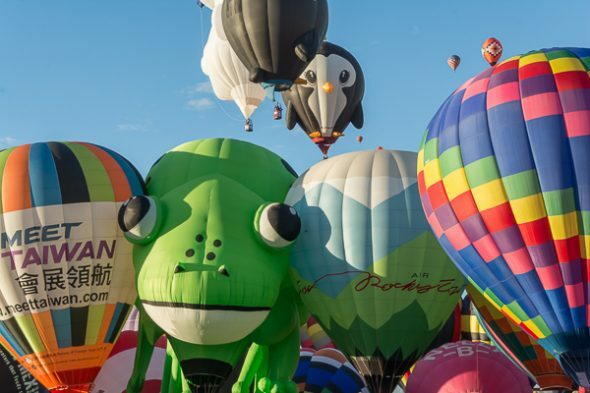 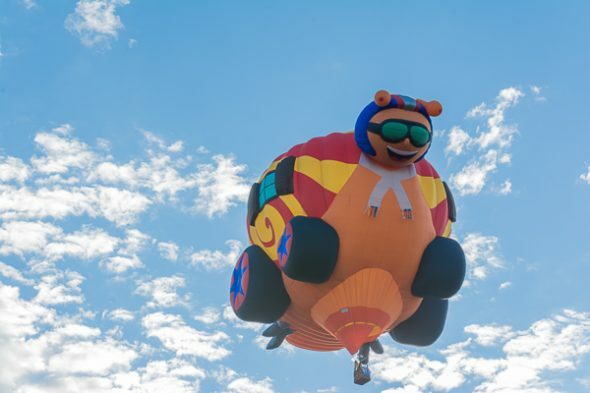 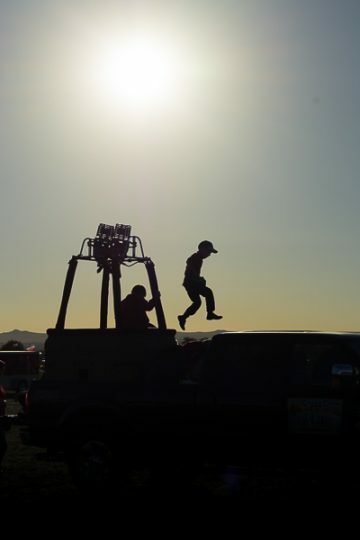 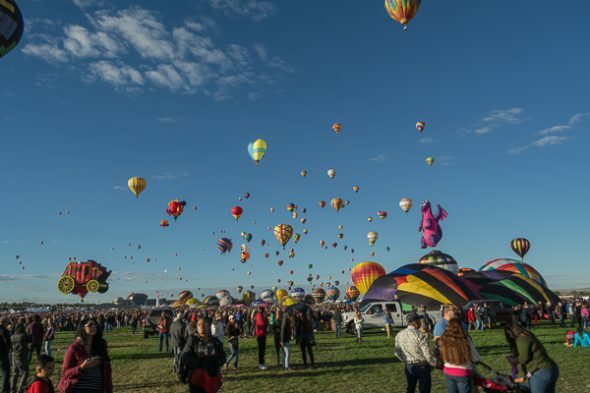 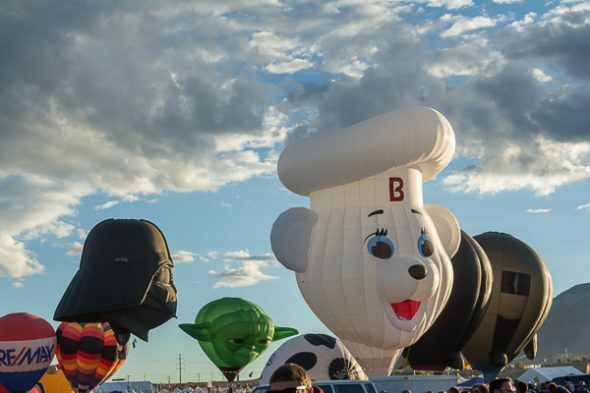 Spend five minutes at the Balloon Fiesta and you will need ear plugs to drown out exuberant screams like: “Look at that one,” or “I’ve never seen a Piranha Balloon before,” or “oooo – there’s Darth Vader,” or “Oh wow, it’s a giant dinosaur!” And that’s just if you are standing next to me! 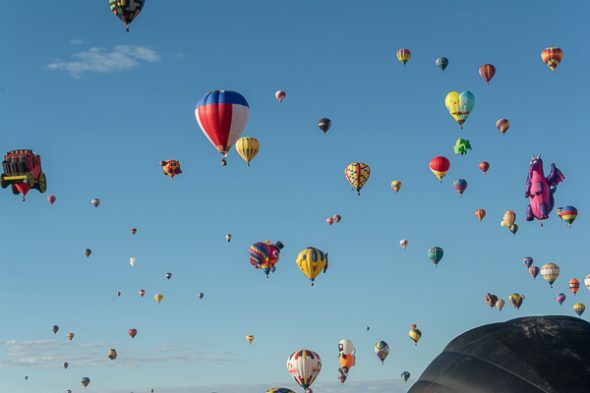 Yes, seeing hundreds of balloons beaming in the morning sun will definitely cause your inner child to rise to the surface and squash down any cynicism or woes that may have earlier worked their way too high up in your priority list. 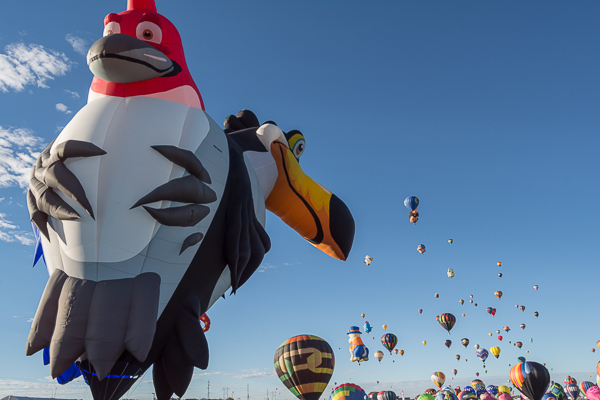 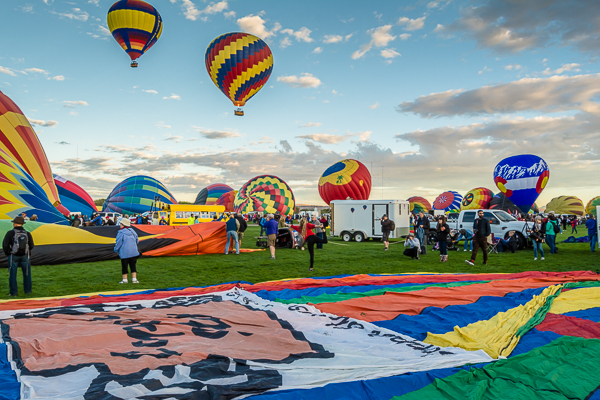 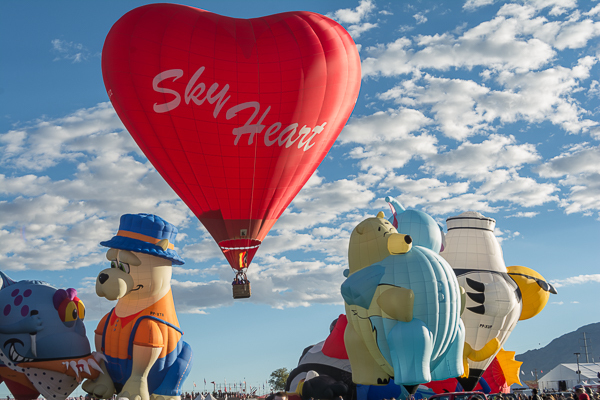 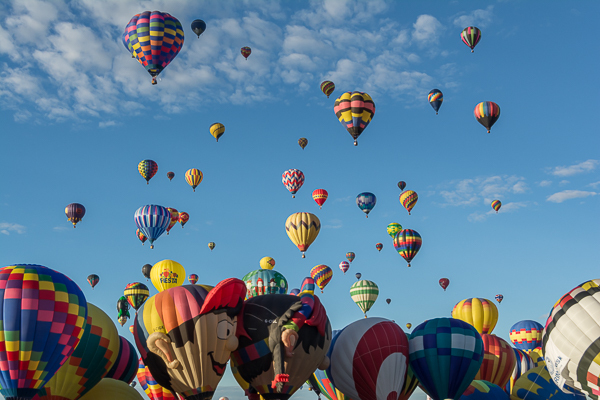 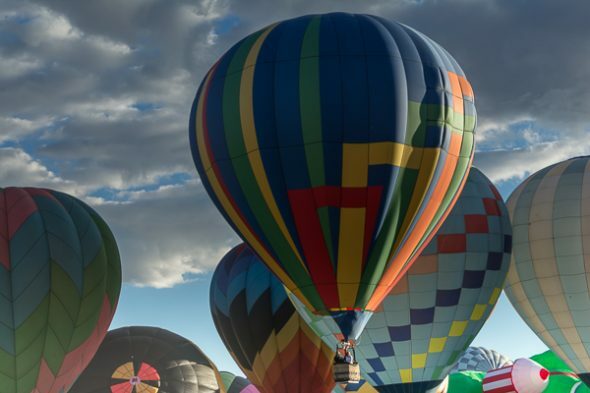 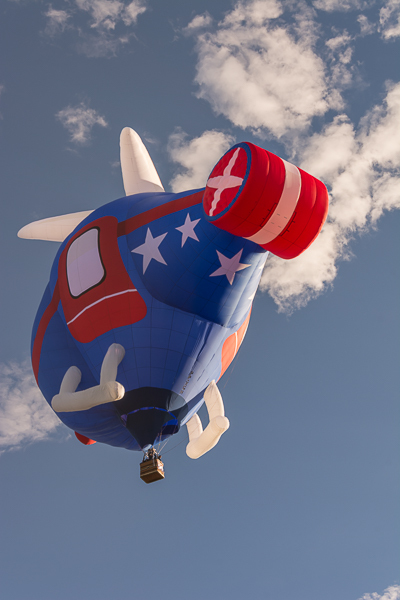 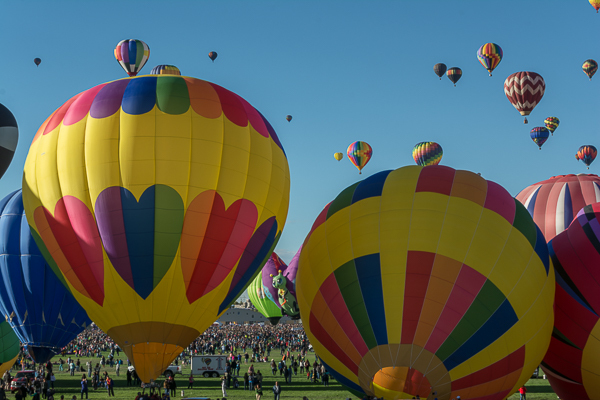 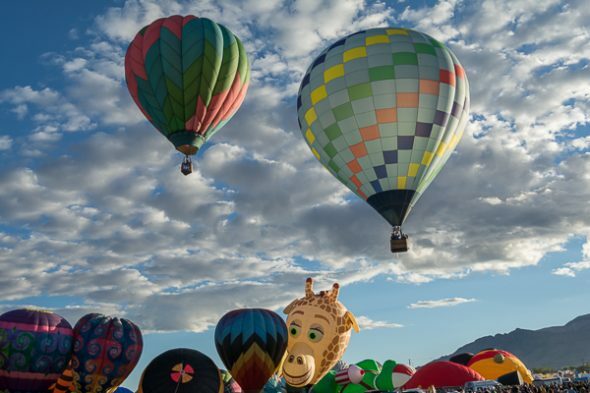 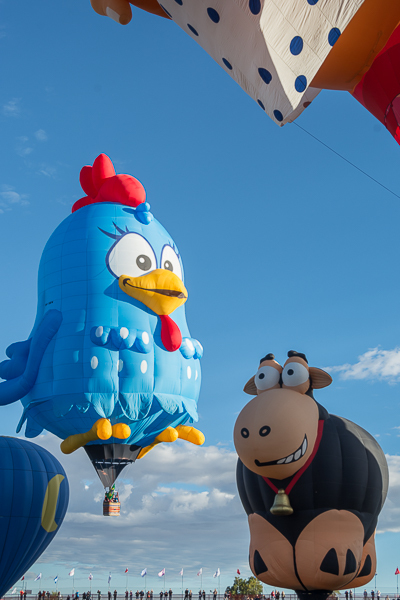 I ask you to please keep in mind that the Albuquerque International Balloon Fiesta is the most photographed event in the world (again, that is just counting the pictures I took), so although I will try not to over share, you are in for a bunch of balloon photos! Let’s get started with these. 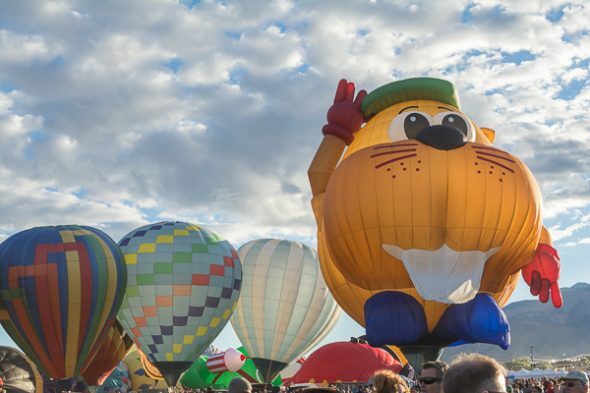 Be very glad you’re not here, raining cats and dogs and not the balloon version either from hurricane Matthew. 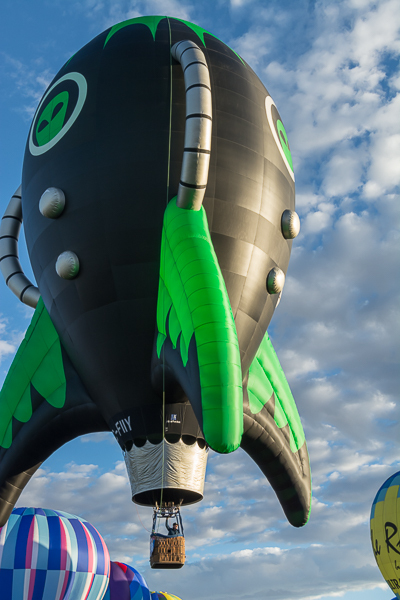 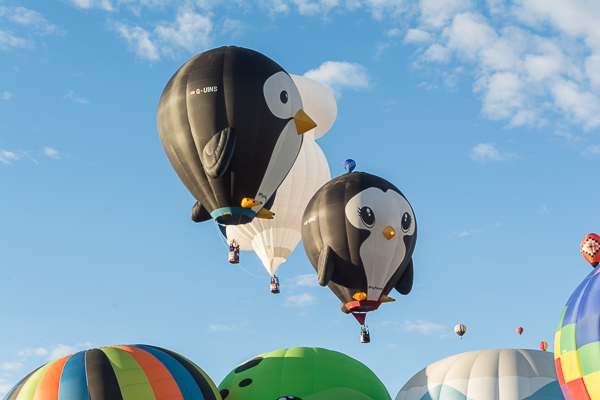 The Darth Vader and Yoda balloons were at the Statesville balloon fest when we attended a couple of years ago and I recognized one or two others as well, but the volume in Albuquerque far exceeds Statesville’s. It is the general consensus of every retiree I talk to out here – we are all glad we no longer have to “weather” the East Coast Storms. 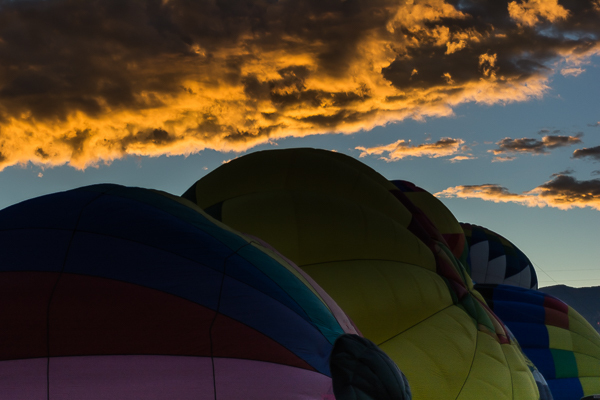 We are all hoping though that everyone along the coast survives Matthew and that damage is minimal.